UltraSeps will need to be reauthorized if upgrading your Macintosh operating system, such as going from Lion to Mavericks, etc. The reason is that our copy protection may see this as a new computer itself, and not a normal system update. 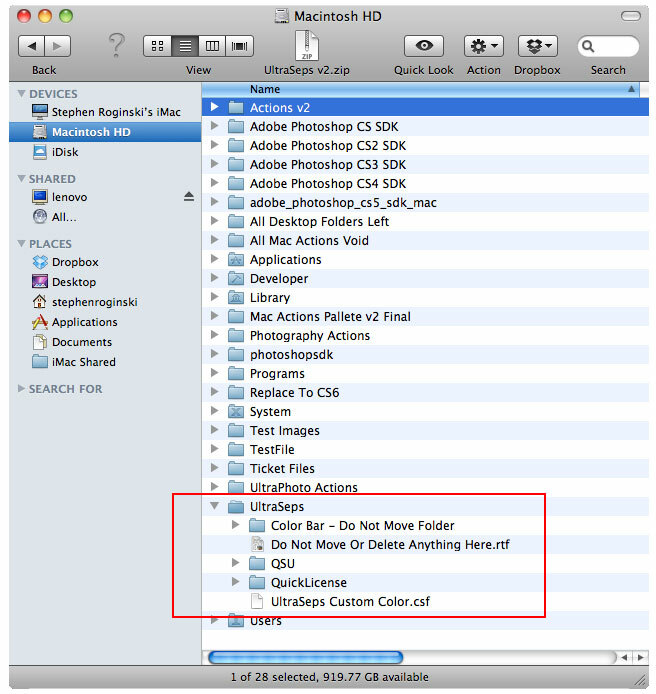 Open your Macintosh HD and look for a folder named UltraSeps and open it. See screen shot below indicating location of this folder. Illustrated unlock instructions can be found here.